No dues or membership required! 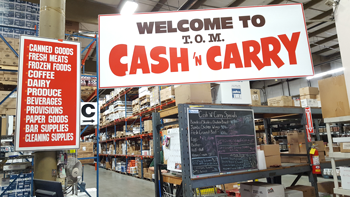 Our large inventory and vast product selection makes our Cash 'n Carry the ideal place to shop. You'll find everything you need whether you're shopping for your home, office, social group, business or event. We offer all the products available to our commercial accounts as well as items in smaller packaging exclusive to our Cash 'n Carry customers. 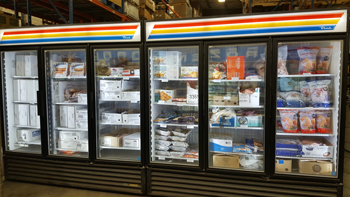 Select from coffee and beverages, fresh meats, dairy and produce, frozen appetizers, entrees, sides and desserts, paper goods and so much more! Take advantage of our weekly specials or try a new product when we're offering samples or tastings! 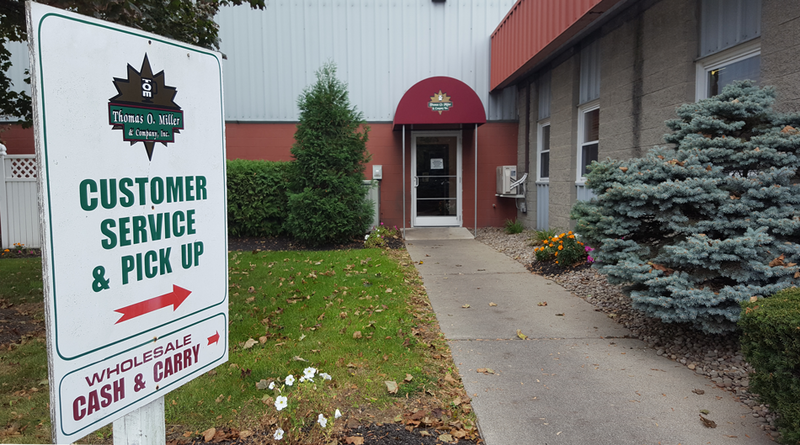 Our friendly staff can help you choose the right product for your needs. 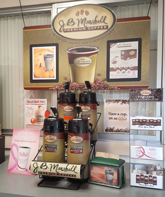 While you're shopping, enjoy a cup of our premium J.B. Marshall coffee on us!